Of the twelve JyotirLingas of Lord Shankara, the tenth one is known as Tryambakeshwara. Tryambak is near Nasik in Maharashtra. This great JyotirLinga on the banks of Gautami has a unique form. The Lord in this temple’s Grabhagriha is not worshipped with Abhisheka with water (Jalahari) unlike others. There is just a bottom part of the pounding stone (Ukhali), instead, like a hole. In that hole there are three Lingas shaped like the Thumbs. Hence Tryambakeshwara. Of these three Lingas, the Linga of Mahesha has a constant shower of water from an orifice above. It is a natural source of water coming down as Abhisheka for the Lord. Ahalya’s husband, Gautama was doing Tapas or penance on the Dakshina Mountain. It did not rain there for a hundred years and the land was drying up and life forms disappearing. Seeing these conditions of drought, the residents, the saints, and all the birds and animals fled from there. Saint Gautam did a great Mangalik tapas through Pranayama for six long months. Varuna, the deva of rains, was pleased and appeared before Gautama, who inturn asked for water. At the behest of Varuna, Gautam dug a hole on his hand. With the help of Varuna’s miraculous power, it filled with water. Varuna said, “Due to the power of your penance, this hole would be an unending source of water “Akshya”. It will become famous by your name. It will augment all holy rituals like Yagna, Dana, Tapa, Homa Shraadha, and worship of Gods. After this water was thus acquired, the saints started making preparations for the Yagna and the production of “Breehika”. Once when the disciples of Gautama went to fetch some water, from that waterhole, just then some of the saints wives were also there for the same purpose. They insisted on taking water first. The disciples of Gautama called Gautama’s wife. She intervened and allowed her husband’s disciples to fetch water. The wives of the Rishis felt insulted at this and complained to their husbands and while doing so added a few lies here and there. The great saints at once started the worship of Ganesha as an intial Puja in sheer scheme of vendetta. When Ganesha appeared before them and granted some boons, they asked for the power of being able to insult and chase away Gautama, as an indesirable person from there. Ganesha understood that Gautama was very helpful by nature, tried to persuade the saints from getting their way. He knew that, but for Gautama’s efforts, the saints would be craving for even a drop of water. But the saints would have none of it. Reluctantly, Ganesha had to accode to the request of the adamant Rishis, but warned them to be ready to face the consequences of angering a great saint like Gautama. One day, when Gautama went to get some “Breehi”, he saw a thin, starving cow there. Just when he lifted a little twig to show away the cow, the cow fell dead. The other Rishis caught the opportunity and accused Gautama of slaying a cow “Gohatya”. They insulted him and said that he must leave that palce immediately in order to save it from the aftermath of Gohaty. Gautama became very sad and left feeling greatly depressed. Gautama wanted to absolve himself of the sin of Gohatya “Cow slaughter”. He thus resorted to the method of Tapas recommended by great saints. He began the difficult task of bringing Ganga water with the power of his Tapas, take bath with that water and chant Shiva mantras a crore times and worship the Parthiva Linga. Shiva was pleased and told him that he is indeed a pure soul and a great Mahatma. A great injustice was done to him, Shiva told him that he could ask for some boons. Gautama asked for Ganga, which would be of great help to the humanity. Shiva gave Ganga to Gautama, in the form of Tatwarupa Avishishta Jal. After taking the water, Gautama requested Shiva to absolve him of the sin of cow slaughter. Shiva purified Gautama and wanted to go back to His abode after that. But he told the Lord to remain on the earth till the end of Kaliyuga. Ganga prayed to him and requested him to stay on the earth, along with his consort Parvati. For the welfare of the world, Lord Shiva granted Ganga her wish. Ganga wanted to know from Lord Shiva, how people will know about her greatness. 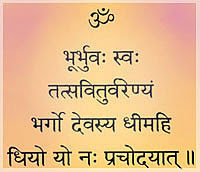 The Rishis said that until Brihaspati stays on the Simha Rashi (Leo), we will stay here on your banks and will take a holy dip in your waters thrice a day before taking the Darshan of Shiva. Only by doing so, would we able to war our sins. On hearing this Lord Shiva and Ganga stayed there. Ganga has also come to be known as Gautami and the Linga came to be known as Tryambaka. The river which gave away cows as Go-Daan became Godavari. Ganga who came on the request of Gautama became Gautam Ganga. That was the auspicious time of Brahmagiri, the time in between, when the Kurmavatar was over and before the assumption of Varahavatar, the Sanghiparva. The planet Guru (Jupiter) was in the sign of Simha (Leo), Magha Shuddha Dashami, Thursday after noon, when Gautami Ganga was born. The area of Brahmagiri too looks like the Lingamurthyy. From the tip, the water of Gautami Ganga flows. The spring at Brahmagiri from where Godavari comes out, is known as Gangadwar. The Ganga water flows from a rock shaped like a cow face, constantly. 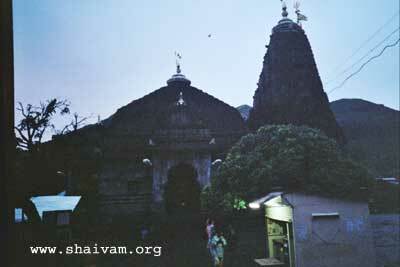 The temple of Godavari mata is located here. The idol looks happy and peaceful. The Varaha Teertha is close by. After emanating from Gangadwar, the river Godavari thins down and almost disappears, only to appear again at Tahalhati. In order to prevent it from disappearing, Gautam Rishi threw Darbhas on all four sides. Because of this, Godavari flows in Kushavarti. The Kushavarti Maha Teerth is a circle of 27 meters. It is built very strong. There are steps on all four sides to facilitate going down to the waters. At the time of Simhasta (in Leo), every 12 years, a Kumbhmela is held here. Lakhs of people take a holy dip in Kushavarta. On all the four sides of Kushavartha corridors are built. Beautiful statues are also carved here in the Brahmagiri Talhati, near Kushavarti, there is a big lake called Ganga Sagar. On the parikrama path, there are beautiful places like Ram Teerth. Prayag Teerth and Nrisimha Teerth etc, The Peshwa kings planted trees at every 25 hand distance. During the reign of the Peshwas, criminals were asked to do the Parikrama (circumbulation) of Brahmagiri as punishment. The Tryambakeshwar JyotirLinga is unique, great, holy and wonderful place of pilgrimage. Free online Nashik classified ads. Sell, Buy, Find - faster and easier: flats, apartments, houses, PG, jobs, IT jobs, BPO jobs, cars, used cars, used bikes, motorcycles, mobiles, computers.